The Festival sponsorships are a great opportunity and an affordable way to advertise your business or services and reach thousands of potential customers. • Link on the Polish Heritage Festival web site at www.polfunfest.com. • Plus Restaurant Placemat Advertising. 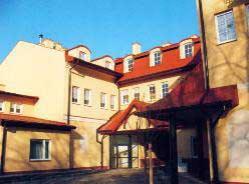 such as the Lions Clubs & The Spirit of St. Nicholas! 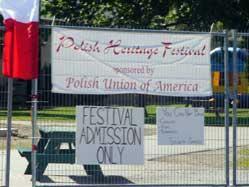 As a sponsor of the Polish Heritage Festival, your company or organization's name will be prominently displayed at the Festival Site. 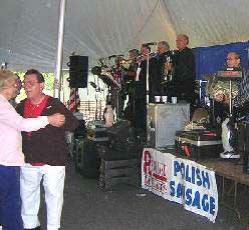 Redlinski Meats' sponsorship of a stage banner placed their name in the middle of all the dancing and entertainment for all to see. 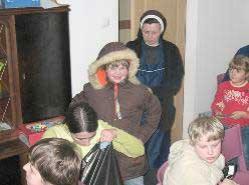 The "Change for the Children" fundraising effort raised $15,600 which was given to the Sisters in Service to Mary towards the addition and improvements. The photo on the right shows the new addition and improvements. A big smile from one of the girls with her new coat made possible from the "Spirit of St. Nicholas" fundraising effort, and Semax, Inc., a children's wear company in Poznan, Poland. 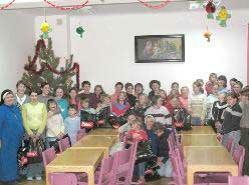 The students of the educative center and orphanage in Jaroslaw, Poland, with the Sisters who teach and care for them, after they received their Christmas gifts in 2007.